THIS WEDNESDAY, the fraternity I’ve belonged to for over 40 years will be celebrating its first half-century. 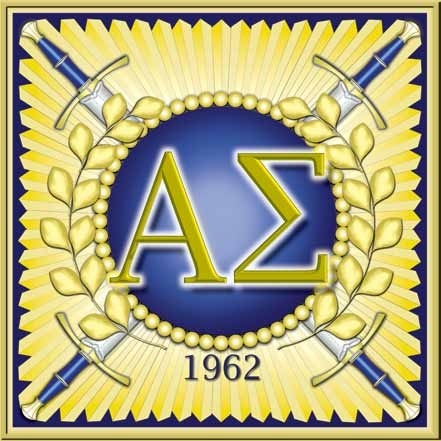 I joined Alpha Sigma almost as soon as I stepped into the University of the Philippines in Diliman as a wet-eared freshman in 1970. It was one of the three things I wanted to be a part of in UP, an ambition I’d nurtured over my high school days at Philippine Science—the Philippine Collegian student newspaper, Alpha Sigma, and an activist organization (which turned out to be the Samahang Demokratiko ng Kabataan, via the Nationalist Corps). They were indeed all of one package: I looked up to Alpha Sigma because the Collegian was then being lorded over by fraternity members like Vic Manarang and Tony Tagamolila, both editors in chief, and Gary Olivar, who wrote a column. It seemed to be the frat where all the cool and brainy guys were, but more than that, it also attracted a strong core of dedicated activists—people like the then-imprisoned Nilo Tayag (one of the original founders) and a quiet but intense young fellow named Benny Tiamzon, now reputed to be the supremo of the New People’s Army. I can imagine how strange this must sound to many readers who think of writers and academics as deskbound people who should have better things to do than gather around a campfire like cavemen, chug beer, and thump their chests, literally and figuratively. Indeed, in this age of Facebook, NGOs, and Rotary Clubs, fraternities can be seen by people as something of an anachronism, a throwback to feudal privilege and the days of Big Men on Campus. Frankly, I can’t blame them. Just about the only thing most of us hear about frats today is when they haze poor, hopeful neophytes to a bloody pulp. And as far as I’m concerned, frats that do that deserve to be treated like the criminals they are—punished in court and summarily outlawed. I’d be the last to deny that there’s a lot of childish and sometimes fatal stupidity you can associate with this kind of alpha-male bonding. But to be just as honest, at least back in the day when I was a 17-year-old looking up at the Oblation, there were worse choices I could have made than to join up with this happy bunch of nerds and nationalists. Since then, the fraternity has produced a long line of brothers who have distinguished themselves in nearly all fields of endeavor—not just in the usual categories of business and politics, but also in the arts, in engineering, in public health, and, of course, in public service. To name just a few, they include the likes of Smart Communications founder Doy Vea, sociologist and journalist Randy David, legal scholar and professor Raul Pangalangan, and the late playwright Boy Noriega. Dodo Banzon runs PhilHealth; over in Seattle, Oying Rimon manages the public health portfolio of the Gates Foundation. I could go on and on with this list, but you get the idea. We have many brods in mainstream politics—Sen. Gringo Honasan, Cong. Miro Quimbo, and former GMA men Mike Defensor and Gary Olivar among the most prominent of them. But the Left can also count Alpha Sigmans among its most revered figures; aside from the aforementioned Nilo Tayag, Tony Tagamolila, and Benny Tiamzon, they include Billy Begg and Joey Calderon who, like Tony, heroically gave up their lives in the fight against the dictatorship. Like blood brothers, we have differences, disagreements, and debates within the fraternity, which is a healthy thing. If I thought a brod was doing wrong, I’d consider it my duty and indeed the best thing I could do for him to tell him so. I’ve never believed in a culture of silence and secrets, nor in blind obedience. I do appreciate the opportunity that the fraternity has provided for people from opposite sides of the political fence to meet and to argue civilly without fear of being bashed or punished—something I wish we could do more of in our society at large. I can’t forget that on the run during martial law, many of us found shelter and succor with the brods. And for the young men who come to UP like I did many years ago and who find their way into our brotherhood, I have a standard set of messages waiting for them. Build up both your mental and physical strength, I say, but eschew violence—it has no place in the university. Value scholarship and service; develop your talents, so you can serve the people better. Be an example for others to emulate. When a resident brod enrolls in my class and introduces himself to me, I tell him that I will expect more from him than from his classmates, and that he had better be ready to recite on demand, because I don’t ever want it said that I gave a brod a free cut or went easy on him. That’s how we can maintain high standards of behavior and performance within the fraternity, and guarantee that it won’t decline into irrelevance. If you’re an Alpha Sigman and would like to reconnect with 50 years of a glorious tradition of excellence and service, join us in our grand reunion this Wednesday evening, at the Shangri-La Makati. Please email me for more details. This entry was posted in Education, Friends, Pinoys and tagged Alpha Sigma by penmanila. Bookmark the permalink.